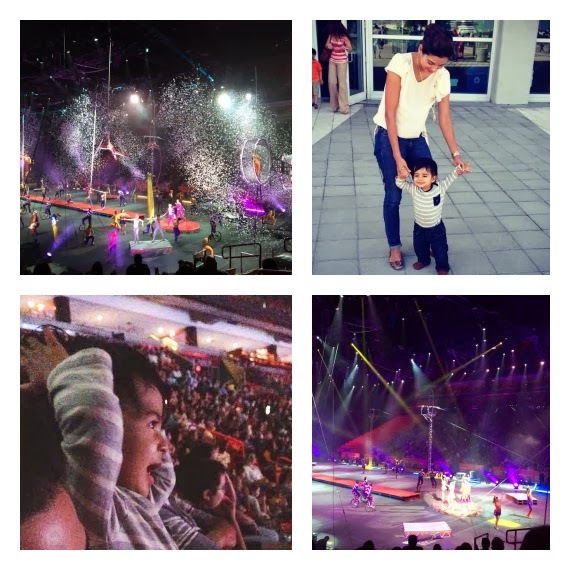 We thought we'd kick off our first Weekend Review of 2014 with a few snapshots from this past weekend and Andy's first trip to the circus! We took him to see Ringling Bros. Barnum and Bailey on Sunday and he absolutely loved it (they are currently touring in Miami until January 20th). Seeing his little face was priceless. My husband caught this one picture of him (lower left) where he was with his hands up in the air with excitement. It was too cute. I still remember my mom taking me to go see Ringling Bros. when I was very little and it's crazy to think that now I'm taking my own son (and one day, God willing, Andy will be taking his kids).